Gus Hansen’s downswing continues on high stakes online poker during the second week of April. 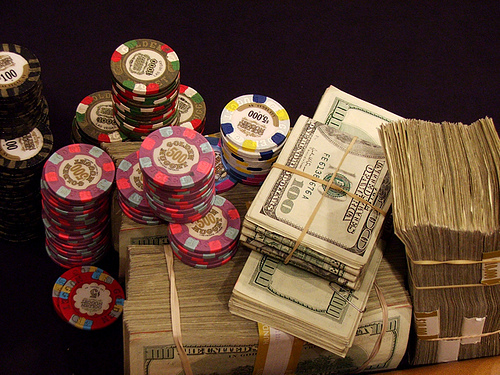 The last few days saw quite a bit of action at Full Tilt Poker’s high stakes tables. Many of the regulars were in action, but no one played quite as much as Gus Hansen, who was obviously anxious to put a stop to his latest downswing and get back on the winning side again. Unfortunately for the Great Dane, that goal proved to be elusive and instead of recouping some of his losses, he dug himself into an even deeper hole by dropping money to Tom Dwan. Dwan himself saw quite a bit of action too: he took on Scott Palmer at the $300/$600 PLO tables and he battled Gus Hansen heads-up too. Being one of the biggest overall losers of the year, Dwan had some catching up to do too, but his attempts went a bit astray as well. The biggest pot Dwan and Scott Palmer played for was a $228k monster, which eventually went to Palmer. The hand began with the usual preflop action. The 10,9, 4 which fell on the flop prompted a bet from Palmer, which Dwan called. The J on the turn was the card which started the landslide, at the end of which both players were all-in. Palmer had the nut straight, but Dwan’s diamond flush draw was very much alive too. The river card was run twice and it missed Dwan both times, handing the monster pot to Palmer. A few hands later, Palmer scored another massive pot (this time a $161k one) after he hit a full house on the river, shoved all-in and got a call from Dwan. Dwan hit a full house of his own later and retaliated by taking down a $184k pot on it. Looking to snap his losing streak, Gus Hansen took on Tom Dwan at the $300/$600 PLO tables in a true heavy-weight battle, the biggest pot of which – a $121k whooper- ended up in Dwan’s possession. 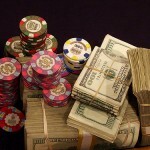 The amount of money that changes hands in these nosebleed stakes cash games on Full Tilt poker is truly mind-boggling. The poker rakeback alone that these guys earn would probably be enough to bankroll several small stakes players every month. The biggest winner of the week was FakeSky, who logged a $386k profit. Patrik Antonius and Scott Palmer made the winners’ list too. The biggest loser was world1929, followed by Abe Mosseri and Tom Dwan.